Which Specialty Game is Right for You? Tired of plain-old card casino games? Always wanted to try Craps or Sic Bo, but you don’t understand them? Do flashy roulette games spark your interest, but you don’t know which version to pick? Ever wanted to try your luck at bingo or even a scratch card game? Here at Palace of Chance, we can help you dispel any doubts you may have about any of these games and guide you towards the right one for each and every player. We can guarantee there is at least one game for every adventurous soul. Craps may be for some of Palace of Chance’s players the most confusing, but once you get the hang of it, this specialty game can be not just one of the most fun, but also one of the most strategic and one of the most profitable specialty games on the list. There are two different rounds. The first round is called the Come Out Roll Phase. In this phase, each player bets on whether or not the roller will Pass or not. To pass means that the dice revealed either a seven or an eleven when rolled the first time. You can bet either Pass or Don’t Pass. If the dice show a two, a three, or a twelve, that means the roller did not pass and loses. If the dice pass or show a 2, 3, or 12, then the round is over regardless of the bets. If the dice do not pass, but do not reveal a 2, 3, or 12 either, then the round moves into the second phase, which is called the Point Phase. If this situation occurs, then the number that was rolled becomes the point, or the number you want to roll to win big. You can, however, bet on other numbers, pairs, or situations, too. This is the phase of the game where you can really win big bucks. As long as the dice do not show a seven or an eleven, the round continues. There are numerous strategies that can be employed in this game with all the varying kinds of bets you can make, but maybe the best strategy is to go with your gut and play the odds. 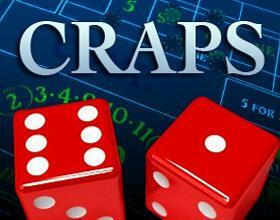 Craps is a very rewarding game and truly tons of fun! If you like strategy combined with good odds this is the game for you. 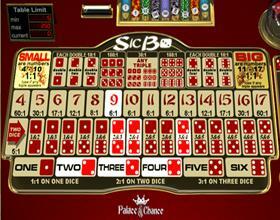 Palace of Chance has four different versions of this classic and iconic casino game. The best part is that the differences are not very many so as to not confuse any player that might want to try more than one or all of them. The first one, American Roulette, is the one everyone, or mostly everyone, is familiar with. It’s pretty straight forward. There is a betting phase where you can bet two different types of bets: inside and outside. The inside bets are bets on single numbers, split between two numbers, three numbers in a horizontal line, four numbers in a square layout, or three in one horizontal line and three in another. The outside bets are bets on options such as 1-18—betting on the first half of the board—,19-36—betting on the second half of the board—, red or black, even or odd, dozen bets i.e. the first twelve, the second twelve, or the third twelve, or betting on an entire column. You win when the ball falls on a number that fits the bet or bets you made. What about French and European Roulette? They are both very similar to American Roulette. 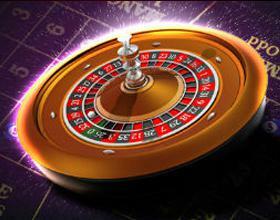 The main aspects that make French Roulette unique are the following: you can, aside from the usual bets, bet on all numbers ending in 7. Another interesting fact is that the terms for odds, evens, and the neighbor bets are in French for the culturally inclined. As far as the European Roulette goes, the main difference is that the house has a marginal edge of only 2.59% making your odds much, much better. Also, there are minimum and maximum bet limits. Everything else is basically the same as French Roulette. Finally there is Multiplayer Roulette. The main difference here is pretty obvious; you can play with other people. This interactive version helps unite the Palace of Chance community to have a more dynamic and encompassing experience as you win big. If you enjoy games of chance and trying to bend the odds in your favor, then roulettes give you a great selection of variety and fun! What’s the deal with Sic Bo? Another intriguing and historic game is Sic Bo. This dice game allows you to play the odds on dice with fewer rules than Craps. There’s five ways to bet. You can bet on specific numbers; winning here gets you big, big rewards. You can also bet small or big Sic Bo bets. This means that you can bet on the total of the three dice sums up to be between 4 and 10 or between 11 and 18. Another way to bet is on pairs. There are 15 possible pairs to bet on, and winning this bet can get you up to 5x your bet. Next, you can bet on the total the three dice will sum up to be. Totals can be from 4 to 17. Finally, there is the double and triple bet, where you can predict a specific double or triple number that may come up. If you win this one, you really win big! Sic Bo is a game for those who want a simpler yet strategic dice game. Last but not least, Palace of Chance offers bingo games and scratch card games. Each of these is catered more towards those who prefer the thrill of chance. Lucky 8’s, Magic 7’s, Hot Dice, and 5 Diamond Blackjack, the scratch games, provide a wide variation of ways to hit the jackpot. Then we offer Bonus Bingo, Roaring Twenties Bingo, and Keno for those bingo and lottery lovers who enjoy the luck of the pick and very favorable odds for not so costly bets.All in all, here at Palace of Chance, options abound when it comes to specialty games. We know everyone will find a spark of intrigue in a couple. So, give them a try and break the normal routine of your gaming.